If you ask the real estate experts, they’ll tell you May is typically the best time to list your home in most markets¹. The warmer weather brings out tons of buyers, selling prices are usually higher, and anyone with children wants to make sure they find a home and are settled in before the new school year begins. 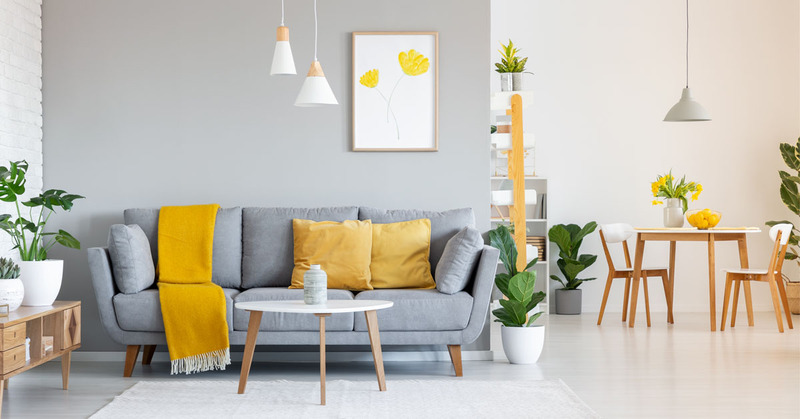 If you’re serious about putting your home on the market–or if you’ve already listed it but haven’t seen much action or any offers–here are some wow-worthy ideas to get it in toptastic selling-shape. 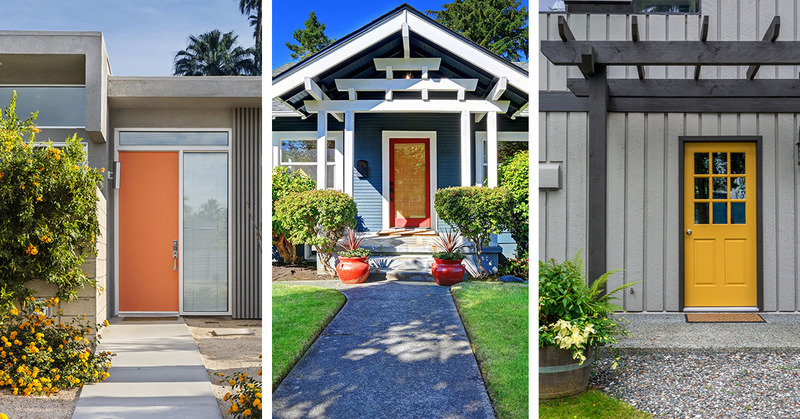 When you’re ready to list your home, curb appeal is key. According to the National Association of Realtors, 63%² of homebuyers will drop by after viewing a home online and seeing its exterior. And the great news is that you don’t have to spend a fortune to get it where you want it, especially if you’re a handy do-it-yourselfer. After a long rainy or snowy winter, clean the dirt off of your vinyl siding, wash the windows to get rid of cobwebs, and clean out the gutters and downspouts. A soft-bristled brush, soapy water and a hose can always do the trick. But why not make it easy on yourself and rent an electric pressure washer from The Home Depot or a local equipment place? 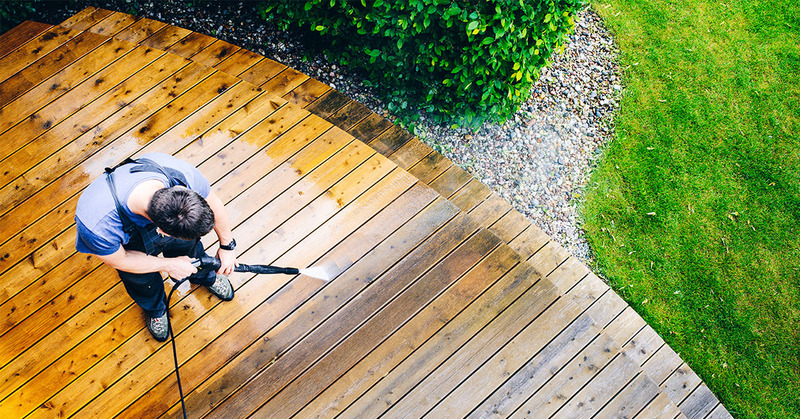 While you’re at it, pressure wash your stone walkways, patio, driveway and roof, too. Why the roof? Realtors will tell you that many potential buyers notice whether shingles are missing or whether a roof is at a point where it needs to be replaced. If yours is in great condition, clean it and show it off. Add Some Pop with Paint. One of the easiest ways to freshen up your house and add some high-energy pop is with a new coat of paint, and we’re not talking about painting the entire house. You can totally change your home’s personality just by changing the color of your front door, shutters, window trim–even your garage door. At around $30 per gallon, it’s a great, low-cost way to add curb appeal. Confused about what statement-making color to choose for a door or trim? 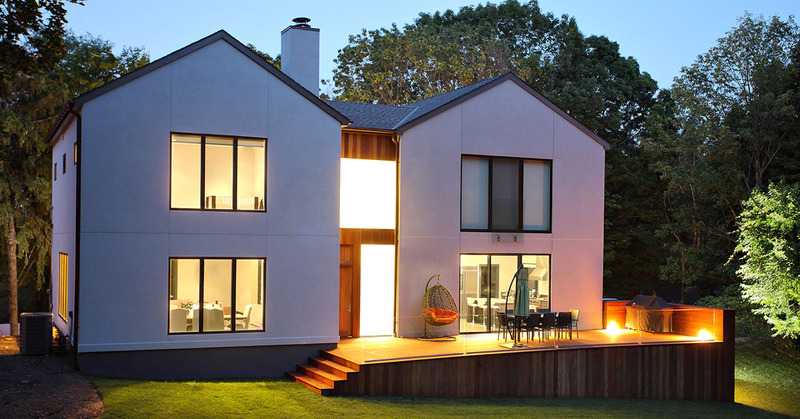 Are there specific color palettes that pair perfectly with certain exteriors, such as gray brick or white siding? Believe it or not, this is a hot topic right now on Houzz so head on over and spend a few minutes getting up to speed on fun color options. They’ve got lots of ’em. Switching out run-of-the-mill house numbers not only makes your house easy to find for potential buyers, it’s also a super simple way to add some serious flair. Here again, your local hardware or home improvement center is an awesome resource. They usually carry a nice, basic selection of font styles and finishes to match your house, too, whether it’s mid-century modern, a cozy Cape Cod, or a timeless ranch. You’ll find an even greater selection of individual numbers or made-to-order plaques online. Think Outside the Box. The Mailbox, That Is. 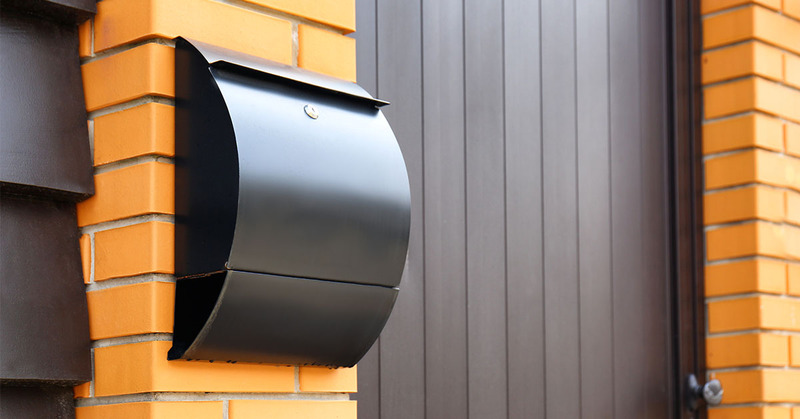 Ever think about giving your original mailbox a makeover? Well, now’s the time. And if you’re looking for a few cool ideas, check out Pinterest and see what some really creative homeowners are doing. Now, if you’re not thinking that far out of the box, a new mailbox is still a good idea. An impressive selection of freestanding or house-mounted mailboxes are available at home improvement centers or online at companies like Wayfair. BTW, if you’re thinking of moving the location of your mailbox, you may want to review the USPS guidelines (Yes, these do exist) to make sure the positioning is correct and that it’s accessible for your carrier. Big Impact: Low Voltage Landscape Lighting. Do you want to illuminate a garden wall or a majestic tree canopy? If so, flood lights and spot lights are ideal choices. Path lights are great for walkways, driveways, patios and around the edges of gardens and can illuminate an area up to 10′. 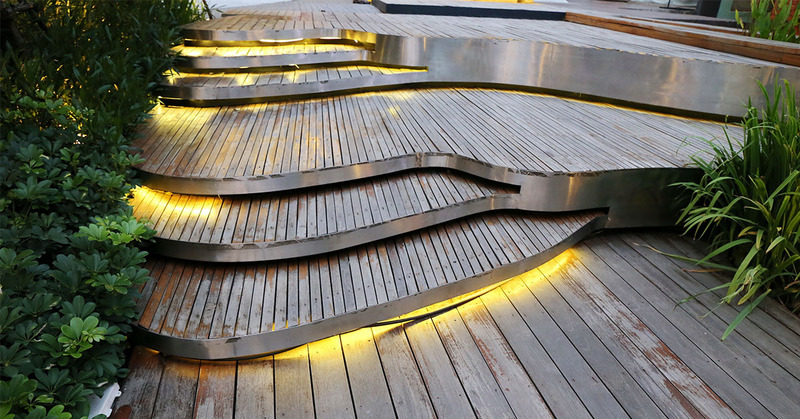 Low profile step lights are a good way to add drama and safety to porch or deck steps. Downlights mimic the moonlight and are usually mounted in trees or above ground to enhance a property’s atmosphere. Outdoor lighting kits are available and usually include everything you need including fixtures, bulbs, wire, connectors and a transformer. Lots of outdoor lighting projects are do-it-yourself. Kits come with step-by-step instructions but, if you need more help, there are many informative tutorials online. Prices range from a super affordable $39 to the “sky-is-the-limit,” which you probably won’t be spending at this point. However, keep this as an option for your new house. Remember those droopy or leaky gutters you’ve been meaning to fix? What about the missing bricks underneath the front window? And that peeling paint on the garage? Well, even though they’re seemingly tiny things, they can detract from your home’s curb appeal. So can an overgrown lawn or an unsightly hedge. Does your front porch or stoop look a little sad? If so, buy a few potted plants from the local nursery and set them out. They’re a quick way to add color and charm. Now that your home’s exterior is just begging buyers to come inside, be sure the interior meets their expectations. You’re probably aware of many of these hacks, but here’s a refresher just in case you may have overlooked a couple. If there’s ever a time where less is more, this is it. 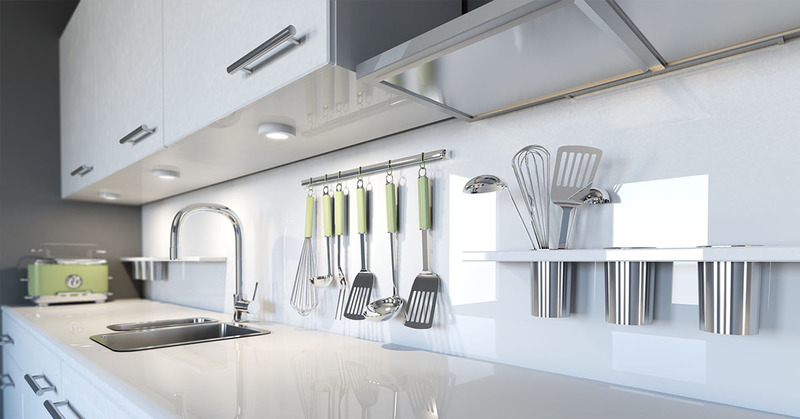 Kitchen and bathroom counters, pantry, mantels, tabletops, cupboards, closets–all should be cleared of clutter and neatly organized. It’s not like you’re throwing anything away, you’re just removing it for the time being. In fact, think of it an opportunity to pre-pack some personal things you plan to move to your next house. Brightly Lit Rooms. No one wants to tour a house with dimly lit rooms so make sure you have ample lighting–and extra lightbulbs on hand. Because the days are now longer, open your window treatments to let the natural daylight and late afternoon sun in. Do you want a stager to use your furniture and accessories or give them carte blanche to choose something new? Do all rooms need to be staged or just a few like the living, dining and master bedroom? Some full-service staging services include furniture, rugs, wall hangings, pillows, bedding, window dressings and lighting fixtures. How do you find one? Most real estate agents know one or two local stagers that are reputable. An estimated 90% of all home buyers search online for home⁴, so photos with a beautifully staged interior are a plus. Do you have design-worthy skills to stage yourself? If you do, you could save some money. Before you make the decision, check out Stage Your Home Like a Pro For Free. Touch up scuff marks on walls, doors or baseboards. Fix loose door handles or loose handrails. Clean the carpeting if it’s dingy or soiled with stains. Make sure your house is spotlessly clean–windows (inside and out), ceiling fans, bathroom tile grout, even toilets. And try to make it as odor-free as possible. There’s nothing like the smell of last night’s sauerkraut, cigarette smoke, or a litter box to turn a potential buyer off. Now that you’ve added some traffic-generating curb appeal and interior touch-ups, the next step is listing your house and finding your next one with Happinest — and getting up to $13,000* cash back. We can help you sell your home, find a new one and protect it, too. *Cash back reward is determined by the sale price of the home you are buying and/or selling. Reward offer limited in some states. Not available in AL, IA, LA, MS, or OK. Other restrictions may apply.